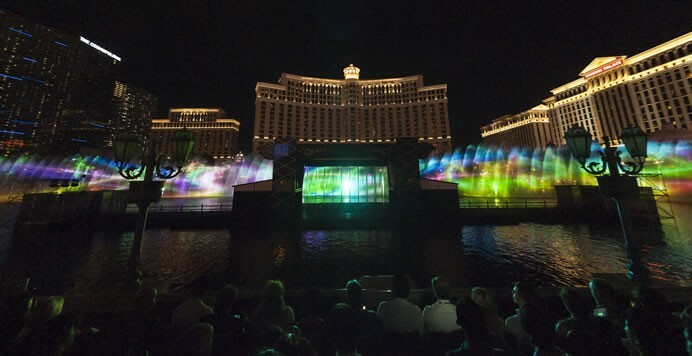 Panasonic has achieved one of the world’s largest water screen projections as it provided special support for a Kabuki performance held August 14–16 at the Bellagio Hotel, owned by MGM Resorts International. Produced by Shochiku and titled “Panasonic Presents Kabuki Spectacle at Fountains of Bellagio: Koi-Tsukami” (Fight with a Carp), the event used sixteen Panasonic PT-DZ21K projectors (brightness: 20,000 lumens) to break previous records for water screen projections. The Panasonic projectors infused the Bellagio Hotel’s fountains with gigantic projections reaching a maximum of 18 meters (59 feet) in height and about 300 meters (984 feet) in width—almost the size of three U.S. pro football fields. 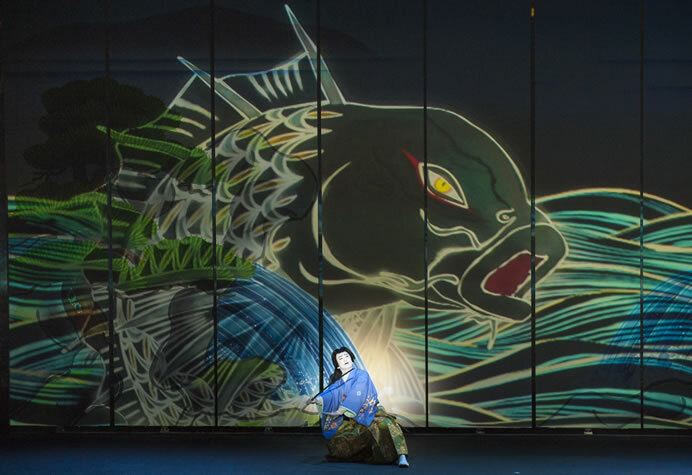 On a special stage that floated above the Bellagio Hotel’s world-famous artificial lake, lead actors Ichikawa Somegoro and Nakamura Yonekichi delivered a stunning performance of “New Kabuki” – combining the Japanese traditional summer Kabuki title “Fight with a Carp” with fantastical modern digital art. The grandiosity of the stage performance drew tens of thousands of spectators in total over five performances. In grand Vegas style, the event made accessible to a Las Vegas audience a traditional Japanese art form with a rich history spanning more than 400 years. Panasonic Presents Kabuki Spectacle at Fountains of Bellagio is the first in a series of projects to create a new entertainment form with elements of Kabuki. “Japan Kabuki Festival” with Kabuki performances and related events, is being planned for May 2016 in Las Vegas.